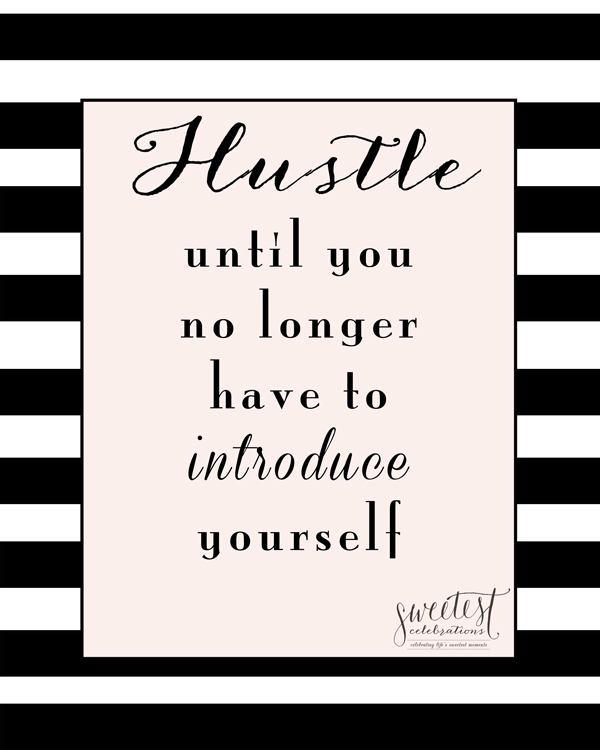 Free Printable – Motivational Quote! There are times when you have to give it your all to make your dreams come true. These times are tough, but the reward is worth it. I’ve been working on my business for a few years now, and it’s finally starting to shape into what I always dreamt of. This hasn’t been easy, though, and I keep many motivational quotes at hand to keep me going. When I found this one, it was perfect, since in my industry, I go to many events and work with many talented people I admire greatly, and in the beginning it was really hard being the ‘newbie’. I’m glad I stayed true to my vision though and took the time to connect with others on a one to one basis, in person and virtually. This was hard, but so worth it. Now when I am at an event, it’s so nice to be welcome by people who have actually become good friends of mine, and people I don’t know actually approach me knowing who I am before I introduce myself. Whatever you do, do it with purpose, and even though it may take time to reach your goals, stay focused and the reward will be great. I hope this quote motivates you too, and that you find a home for it so you can see it often and stay on track.